Ice vs Heat for Pain Relief - Which One Should I Use? When an individual injures themselves or if they suffer from chronic pain, it is sometimes difficult to sift through the overabundance of online advice to find effective pain relief. Is it better to ice first, then use heat? Will heat be effective at all? How long should one apply ice (or heat)? In this post, we will explain why ice and heat both have something to offer pain sufferers. We will also explore how and when to use these methods in order to reduce pain levels as quickly and effectively as possible. Many people have probably heard about the RICE (rest, ice, compression, elevation) method of treatment after an injury such as an ankle sprain. There is a good reason why ice is recommended as part of initial injury treatment (within 24-72 hours). Immediately after an injury, the body attempts to start the healing process through an inflammation response. The body opens up blood vessels at the injury site and sends extra proteins and fluids to the area. The extra fluid is what causes swelling (edema) as well as pain because the extra fluid pushes on nearby tissues. Applying ice to the area of injury helps to constrict the blood vessels, thus keeping the level of swelling to a manageable level. This also reduces pain levels because vessel constriction reduces the level of fluids pushing against nearby tissue. One might ask if extra fluids are part of the body’s natural healing process, shouldn’t the extra fluid be allowed to perform its healing work? The problem is that left untreated, excess fluid and prolonged inflammation often leads to atrophy of adjacent muscles. Prolonged swelling also leads nearby tissues to become less pliable and more rigid over time. So although pain and swelling does play a role in healing an injury, the key lies in proper management of the body’s healing process in order to prevent an adverse effect on adjacent healthy tissues. For the typical injury, the first 24-72 hours is the ideal window for ice application. Avoid applying ice directly to the injured site. 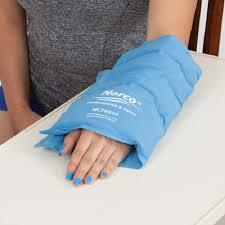 Instead, place a barrier such as a towel or a washcloth between the ice and the injury site. The general recommendation is to apply ice for 20 minutes every hour, then tapering off to icing the same 20 minute period, 4 to 8 times daily. For the first 24-72 hours also continue with the other part of the RICE method (rest, compression, elevation). The application of heat does the exact opposite of applying ice. Instead of constricting blood vessels, the application of heat enlarges nearby blood vessels, as well as encouraging nearby muscles to relax. Applying heat to relax muscles is generally an effective method to help reduce pain for people who suffer from chronic issues, especially those with general back pain or backache from muscle spasms. The application of heat opens up nearby blood vessels, allowing more healing nutrient and oxygen-rich blood to pass through the injured area, as well as whisking away toxins and other debris. Sometimes an individual may “overdo it” with some type of physical activity. They may not necessarily have an injury, but their over-activity led to muscle aches or back soreness. As long as the sore area does not have any nearby swelling, the application of heat will likely provide beneficial pain relief. 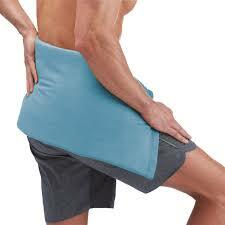 Heating pads can provide the consistent level of heat required to relax achy muscles. There are also some (non-electrical) pads that can be heated up in the microwave. Excessive heat is not good for skin and other tissues, so limit heat application to no more than 30 minutes at a time and never apply heat directly to the skin since it could cause a burn. Always use some type of non-flammable material as a barrier. Physical therapists often use both heat and ice to help them assist in patient recovery. 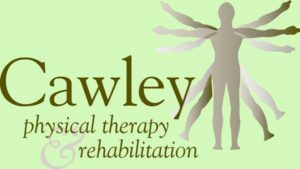 If you would like to know more about how ice, heat and physical therapy can help you get back on your feet after an injury, please contact us at 570-208-2787 or send an email to cawleyptfrank@gmail.com.